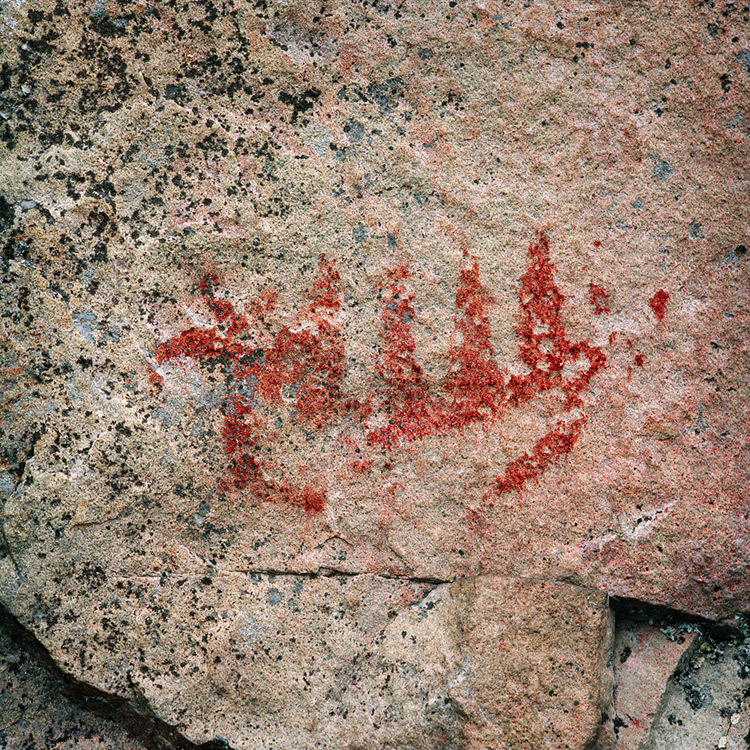 The Finnish rock paintings were forgotten for thousands of years. 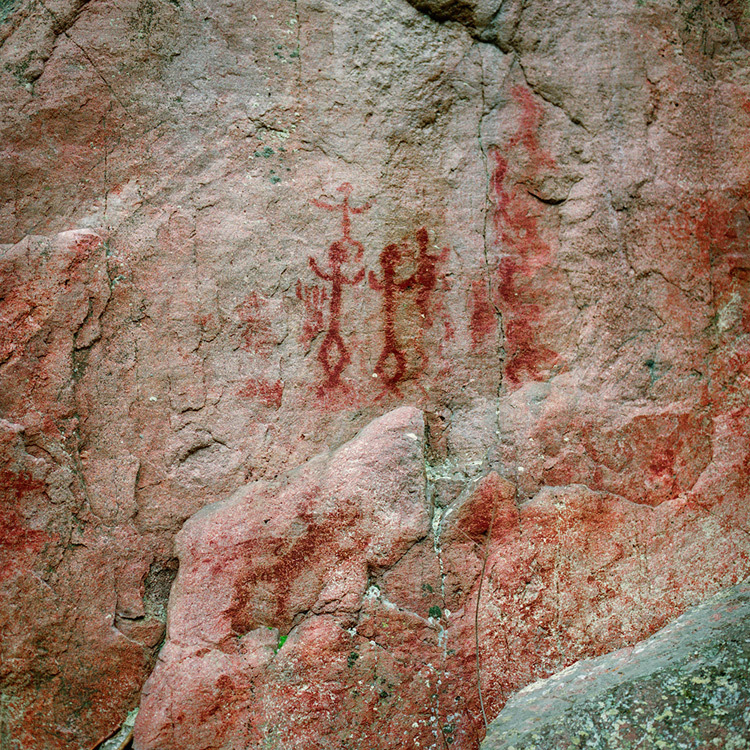 The first one was found in Kirkkonummi in 1911 by the composer Jean Sibelius, but more than fifty years passed before the next discovery. 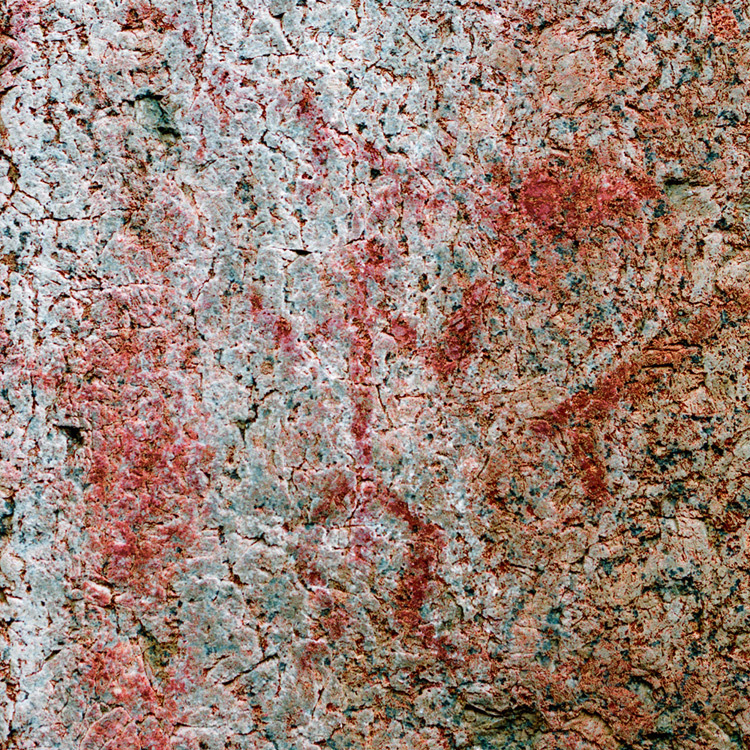 The majority of the rock art sites have been found only in the last 40 years. And new sites are still being found. 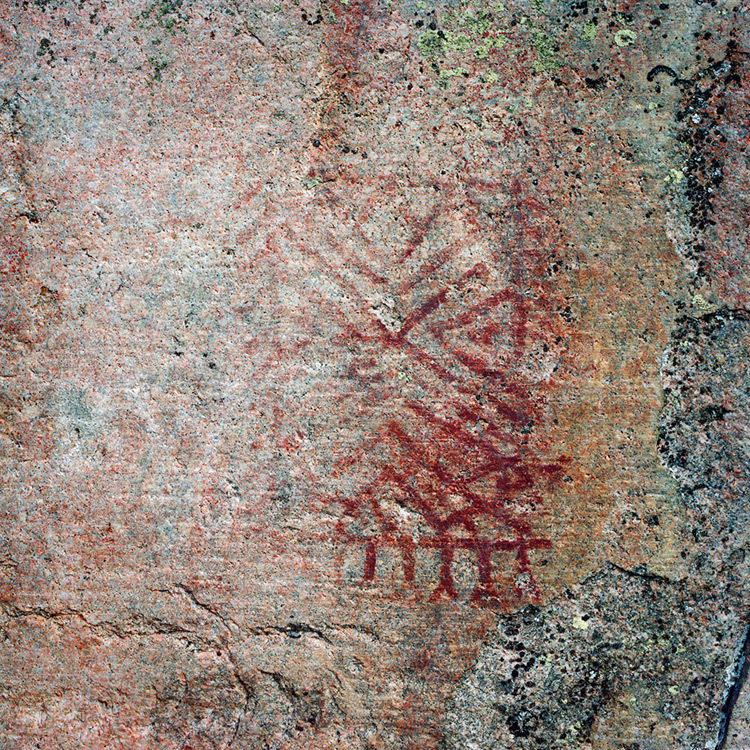 About 750 individual images can be counted on the 100 or so Finnish rock painting sites known today. The motifs are bound to the life and beliefs of the Pit-Comb Ware hunter-gatherers. There are no domestic animals and no images relating to agriculture. 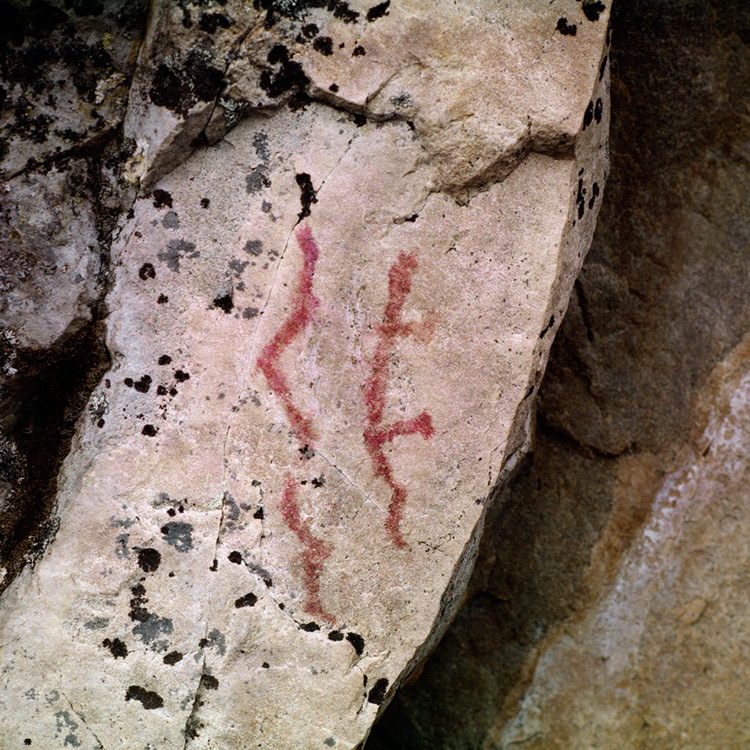 Cervids (216) are often the most important figures in the sites. They are depicted in different styles. 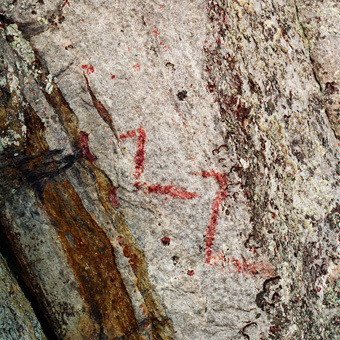 The largest ones are painted with an outline (72). 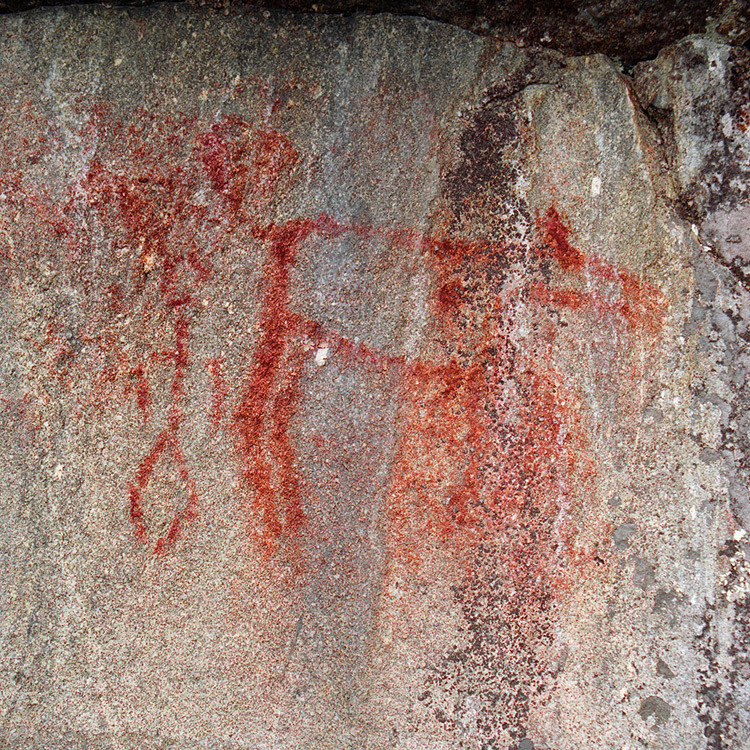 The outline of the painted animals is often quite naturalistic and they can be identified as Eurasian elks (Alces alces). 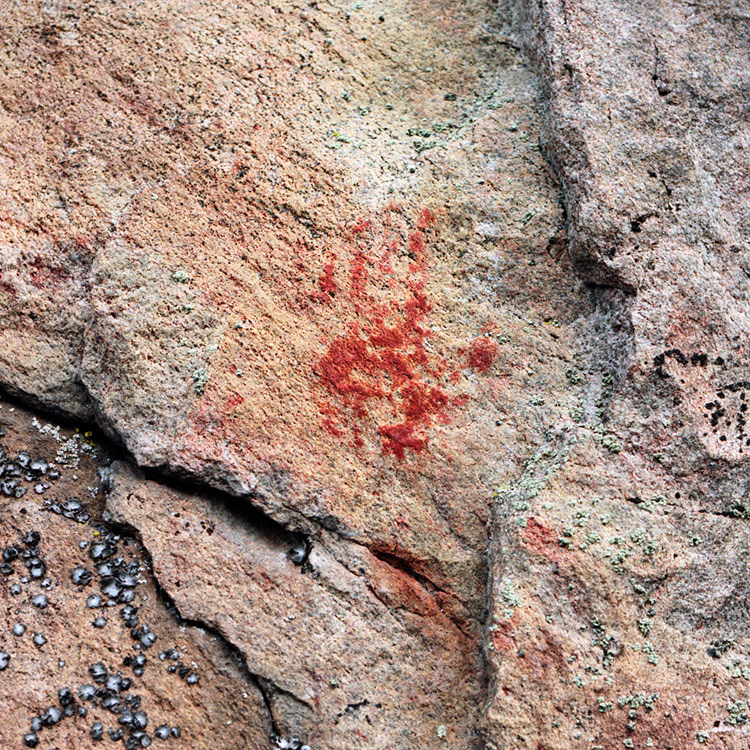 At times the heart is marked inside the body. Ears are often clearly shaped, but no antlers are depicted. In relation to the waterline the big elks are usually higher on the cliff than the smaller animals. 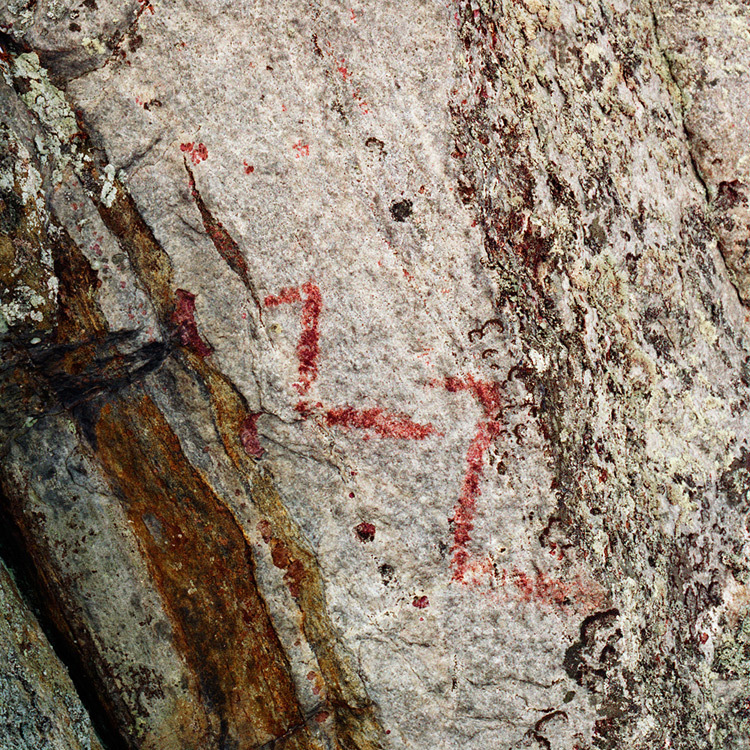 This suggests they are also probably older than the smaller ones (Seitsonen 2005) A number of cervids are fully painted (52), but they are usually smaller than the outline-painted cervids. The smallest cervids are painted with a single line (92). It is difficult to identify weather these are elks or deer. 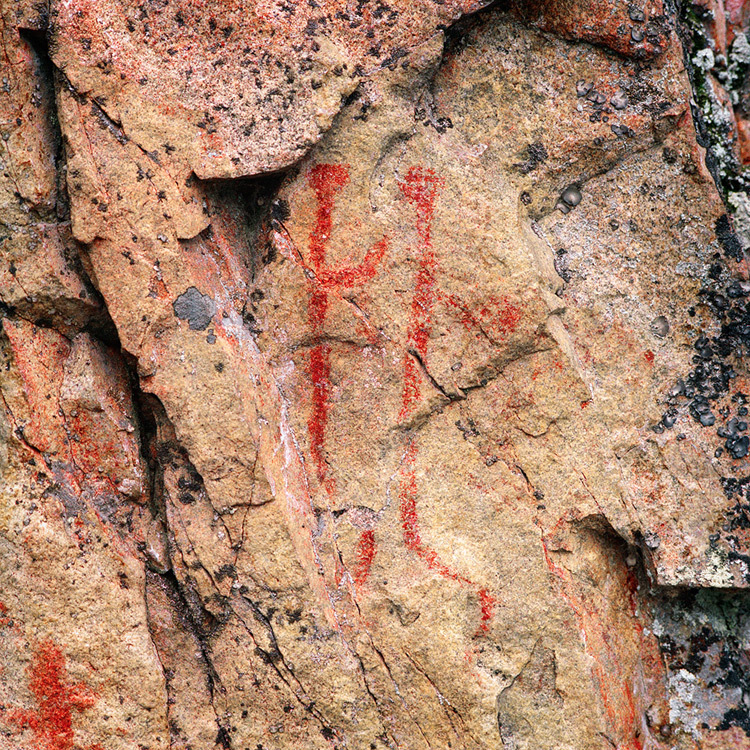 Humans (257) are the most common figures in Finnish rock paintings. 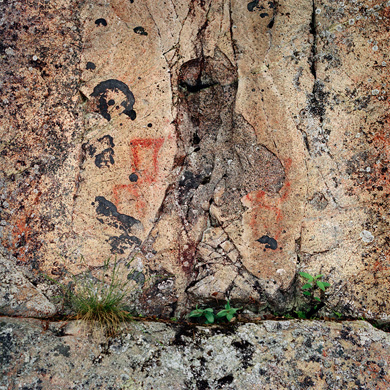 The depiction is typically a simple, frontal figure, standing in a symmetrical position. The legs and arms are often bent. Only in a few cases can the gender of the human be identified. 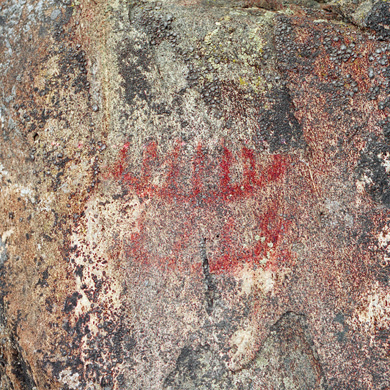 The head is usually marked with a spot with no details, but there are some horned humans and some with a circular or triangular head with eyes and a nose. In some sites such as Saraakallio, there is a number of humans depicted in profile. Boats (87) are depicted with a horizontal, slightly curved line with short vertical lines representing the crew. They often appear as pairs. 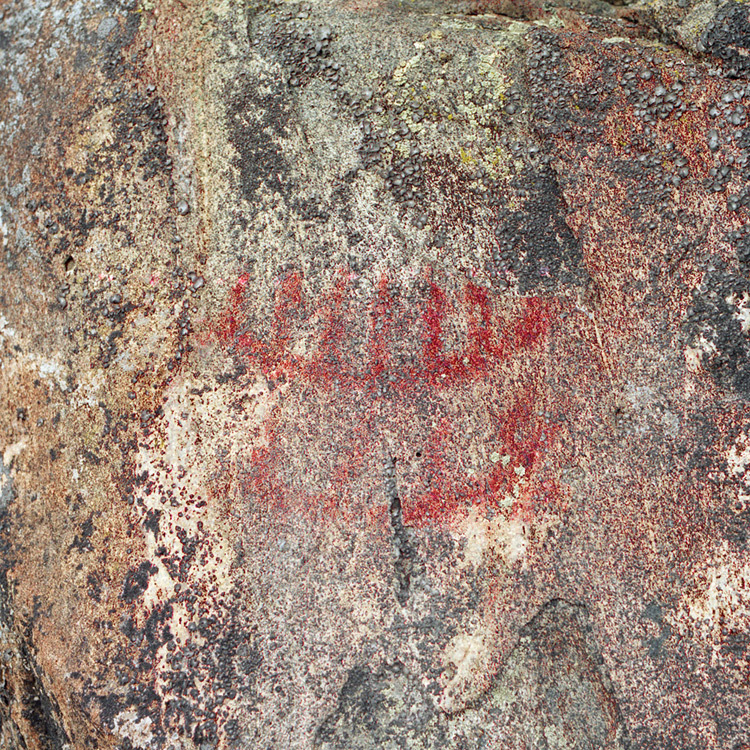 Some boats seem to have a head of an elk in the prow. 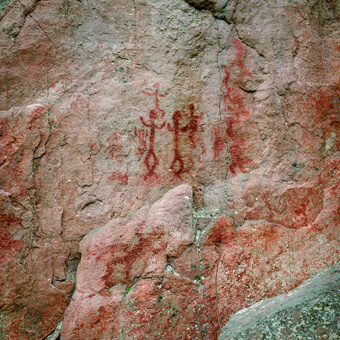 In Saraakallio and Avosaari there are detailed boats that also seem to depict a swimming elk. Other animals (75) include mainly snakes (29) and fish (17). 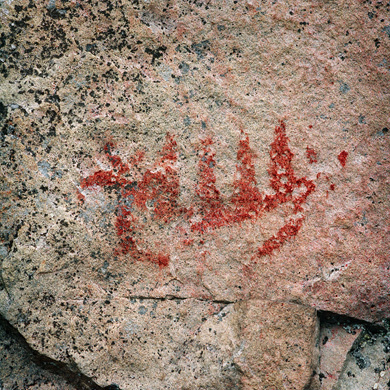 In many cases it is quite difficult to identify the exact species. Snakes often appear together with a human. 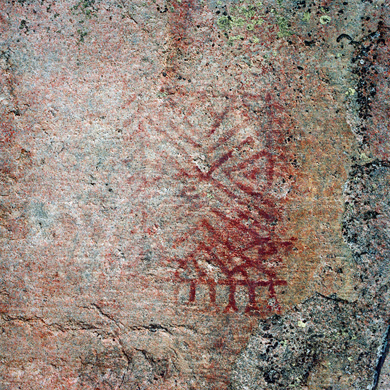 Birds are recognized in one site only - the waterfowl of Rapakko. Geometric forms (61) include mainly crosses (14) and groups of lines (21), but there are also some more complex forms. The most specific forms are the net figures in Vittrask. 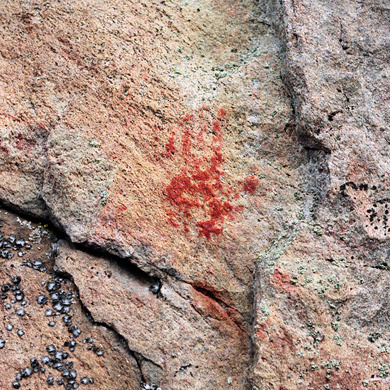 Hand prints (43) can be identified in at least ten sites. 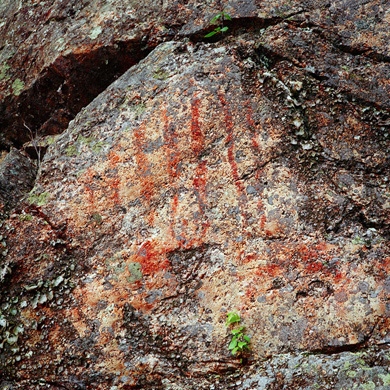 They are made by pressing the hand with colour onto the rock. 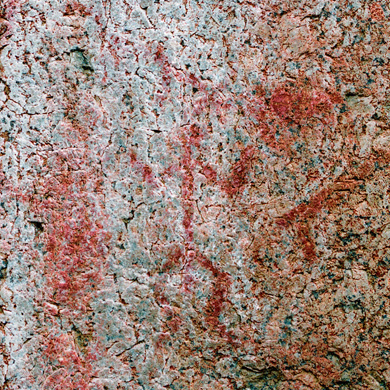 However, it is possible that this motif is much more common; in many sites there are patches that are about the size of a hand, but cannot be recognized by the shape. 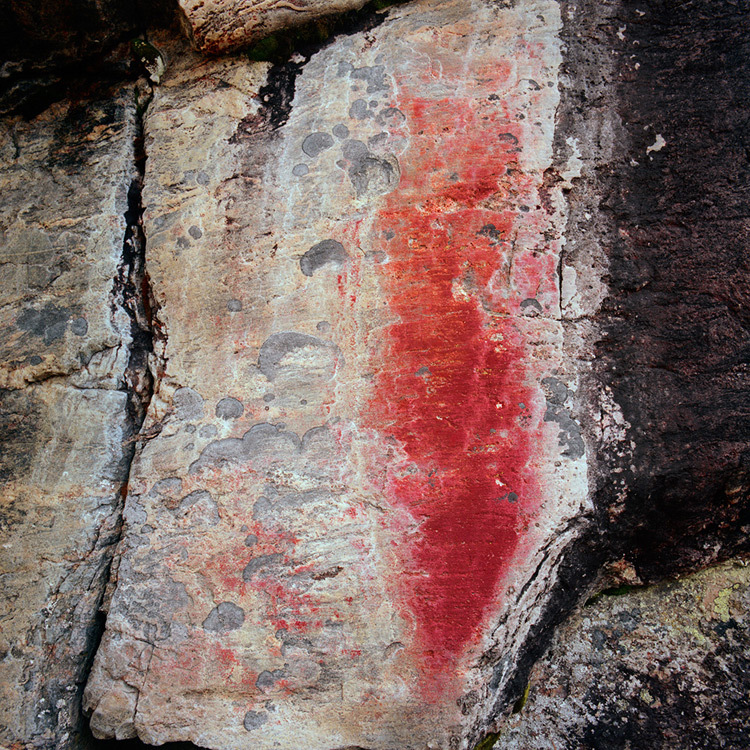 Also, in many cases there are large areas of red paint on the rock. Maybe they are composed by dozens of handprints. What if creating a clear mark has not been the main purpose, but the touch? Touching the rock with a painted hand over and over again could explain these nonfigurative red paintings.